I am not friendly. Honestly, I am not that friendly. I am a shy-typed person but most of my friends don't agree with me on this. Here's a proof that I AM really a shy person. 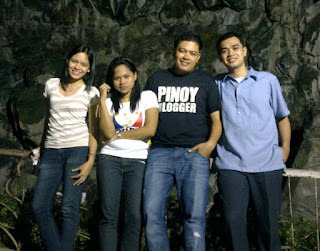 Anyway, I'm glad to meet some of the Davao bloggers. 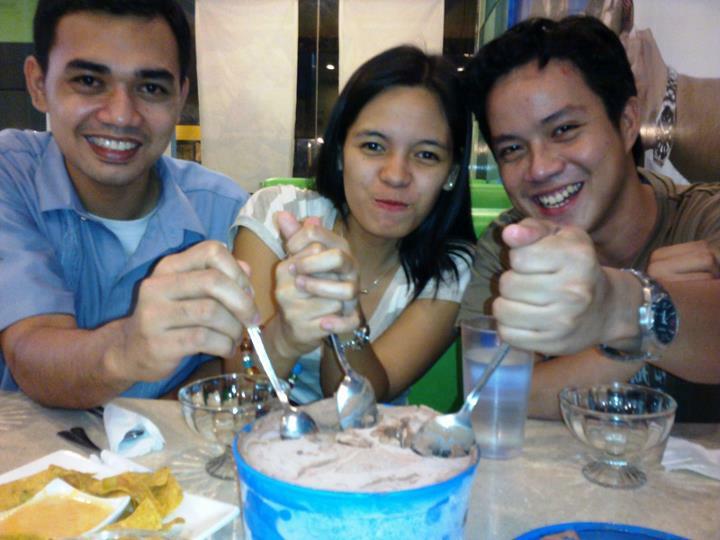 I must say, they are all fun to be with. Unique individuals with similar interests, blogging that is. Each of them have their own sort of blog category. Travel, food, photography, people, opinion, technology, and just about anything which are very interesting topics for me. My first meet and greet with these people was last May 29, 2011. 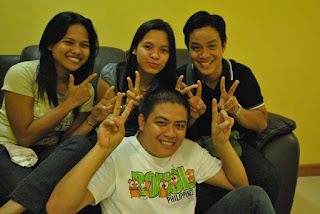 That moment I met CJ of Silaab Dabaw, Tolits of The Backpackman, and Yuli of Youngcampbell. Me, Yuli, Tolits, and CJ at DAVAO ICE GIANTS, Sta. Avenue. 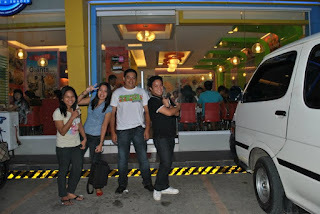 We met at Ice Giants situated at Sta.Avenue, Davao City then went to Abreeza Mall. My second meet and greet with these people was last July 25, 2011. On that moment, another Davao blogger was added. It's Bennix of Bennixville. He is a Tech blogger. Technology, COOL and very interesting! It was also nice to exchange ideas with Bennix because he has indeed a broad knowledge as to integrated technology. 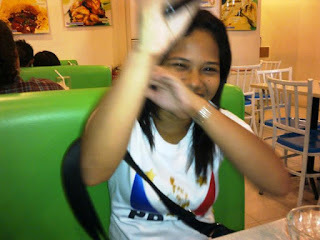 We had our dinner at Penong's then went to People's Park and then we went to an ice cream depot.